House bill 5477, would make changes to various programs administered by the Michigan Strategic Fund. Among the changes are allowing taxpayer dollars to be used to match “collaborative partner” or third party funds and increasing to 25 percent from 15 percent the amount of subsidy money that can go toward overhead costs. The bill also replaces the term "energy excellence" in the statute with different labels such as "innovation" or “competitive edge." The bill also makes changes to the Venture Capital Investment Program and creates a new "Michigan Micro Loan Program." 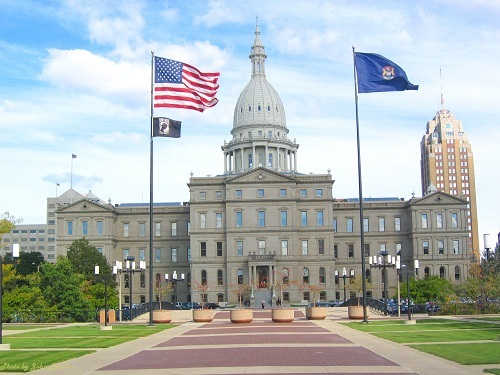 Michigan Capitol Confidential recently reported that the Centers of Energy Excellence program awarded $67 million to 12 companies with the goal of creating 1,746 jobs in the alternative energy industry by the end of 2012. As of March 1, only 588 jobs had been created. Among the grants handed out by the program was $20 million to Mascoma Corp. for a project that the firm claimed would create 70 jobs by the end of 2012. According to the latest report to the state, just three jobs had been created. The bill repackaging this program passed by a wide margin in both the House and the Senate. The House passed the bill 98-12, with 51 Republicans joining all 47 Democrats. The Senate passed the bill 29-8, with 18 out of 26 Republicans joining all 11 Democrats who were present (Sen. Gretchen Whitmer, D-East Lansing, was absent). "Green energy programs from the government have proven to be artificial stimulus trying to create something in the economy that the public doesn't want," said Rep. David Agema, R-Grandville, who opposed the bill. "If there is a need, it will happen in the free market. "Depending on artificial government stimulus will create economic failure." Michael LaFaive, director of the Morey Fiscal Policy Initiative for the Mackinac Center for Public Policy said the best way for politicians to see innovation and job creation is to "just get out of the way." "It's really that simple," he said. "Nearly every time politicians give something to somebody it must be first taken from someone else. It then gets washed through a fat, expensive bureaucracy or two before ending up at an institution that the state has declared worthy of investment. House Bill 5477 was sponsored by Rep. Wayne Schmidt, R-Traverse City, and was signed by Gov. Rick Snyder on June 28.